While I was doing a Proof of Concept for Community sites in SharePoint 2013, I wanted to show how users can automatically join communities without being approved by an administrator. However, when I went into the Community Settings I realized that my Community Site is Missing the Enable Auto Approval Option. 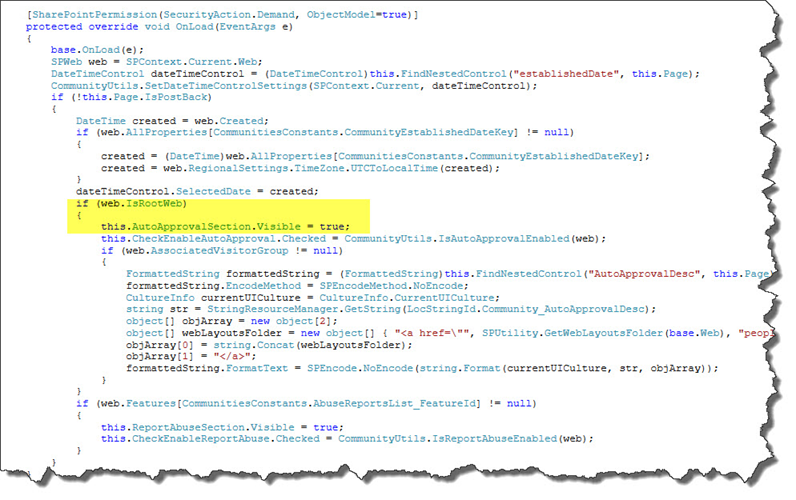 I checked in Microsoft’s code to see if this is a bug, or made on purpose by the SharePoint Team, and it’s in fact made on purpose by the SharePoint team! I found out that the “Auto-Approval for permission request” section only appears when your community is a site collection and not a sub-site! So, if you need this functionality, make sure you create your community as a Site Collection! Leave a comment and don’t forget to like the Absolute SharePoint Blog Page on Facebook and to follow me on Twitter here for the latest news and technical articles on SharePoint. I am also a Pluralsight author, and you can view all the courses I created on my author page. You can also check out all the blog posts on my blog over here! While doing a SharePoint installation at one of my clients using AutoSPInstaller, I kept having problems with the SharePoint Search Provisioning. 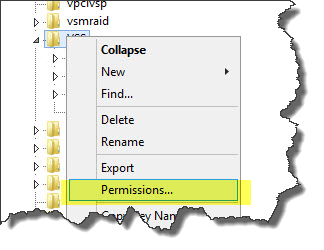 After looking in the Event Logs, I found that there was an Access Denied Error on a certain Registry Key. The Event ID is 8193. 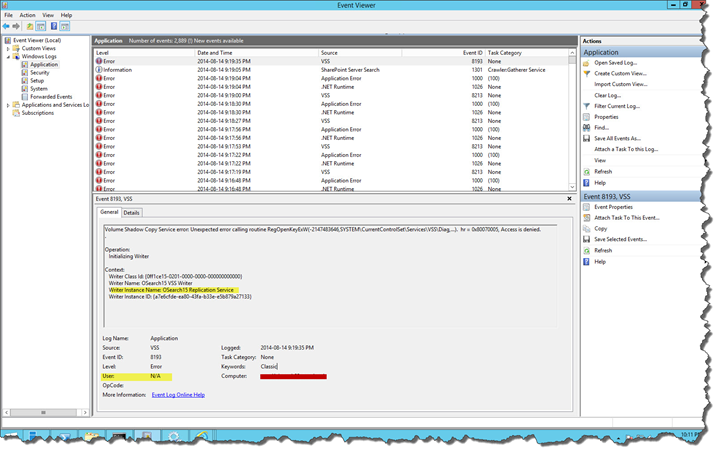 Usually, the Event Viewer shows you what account has an access denied, but this time it wasn’t the case! Exception : System.Management.Automation.MethodInvocationException: Exception calling “Unprovision” with “0” argument(s): “The executing code must run on server SPWFE1.” —> System.InvalidOperationException: The executing code must run on server SPWFE1. So I went in the Event “Details” Tab to try and find more about the error, but at the first look, nothing displayed more info about the account name. However, when we scroll down in the Event Viewer, there is a “Binary to Word” translation that helps us a lot more! When we look at it, we can see the account number on multiple lines! Open regedit as an Administrator. Then find the “VSS” folder! Add the account that had an Access Denied and found earlier in the script and give it Full Control as it needs Read & Write to the VSS! You should make sure that this account has access to the VSS Registry key on all the SharePoint Servers in the farm having a search Component. I recommend doing a reboot after changing the registry key, however it should work without one! Now your Search provisioning should work without any problem! However, please note the offer is limited to 10 000 vouchers and you must takes all your free exams before December 31st 2014! Offer good until December 31, 2014 for up to a total of 10,000 vouchers distributed worldwide. Eligible exams: A voucher may be redeemed to take one of the following MCP exams: 70-532 (beta), 70-533, 70-346 or 70-347. This offer does not include Microsoft Technology Associate exams. Offer ends on December 31, 2014 or while supplies last. Individuals must register for and take all exams prior to December 31, 2014. Vouchers may not be used for any other offering than the specified offer. Microsoft, Prometric and APTCs are not responsible for lost or stolen vouchers or voucher numbers. Vouchers may not be redeemed for cash, credit or refunds. Expired, stolen or lost vouchers will not be replaced. Vouchers may not be applied to exams that have already been taken. Vouchers are nontransferable and are void if altered or revised in any way. Any resale or distribution of vouchers is expressly prohibited. There is a rescheduling fee for individuals who reschedule or cancel their appointment to take an exam 15 or fewer days before the scheduled date. Individuals that cancel or reschedule their appointment to take an exam seventy-two hours or less from the scheduled time will forfeit their exam voucher (voucher cannot be used again). Individuals that fail to show up for their scheduled exam appointment will forfeit their exam voucher (voucher cannot be used again). To register for an exam, visit the Prometric website www.prometric.com. You must provide the Voucher code provided by Prometric when registering to take an exam. Exam 70-532 is a beta exam and all beta policies apply. UPDATE(17 Oct 6PM Est): Out of vouchers for now, but MS Learning said more will be released soon! You can always try your luck on the link below! Great news! Due to popular demand, we have reloaded the voucher portal today. Supply is limited, so visit http://borntolearn.mslearn.net/goodstuff/p/mcp.aspx now to request your voucher. All vouchers must be used at Prometric testing centers by December 31, 2014. Scroll down for instructions, FAQs, and terms and conditions of this offer. To get your voucher, go to this page: http://borntolearn.mslearn.net/goodstuff/p/mcp.aspx Please note, the site had some troubles lately but MS Learning is fixing it and should be done by the time you read this blog post! To read the official announcement click here. Share this Offer with your friends on twitter and let them profit as well! 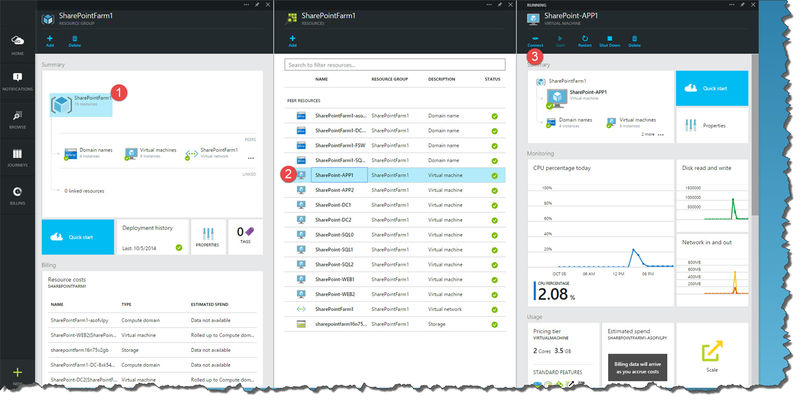 This summer, the Microsoft Azure Team released a very interesting feature with the new feature in which you can create a full SharePoint 2013 Farm in Azure with just a few clicks. 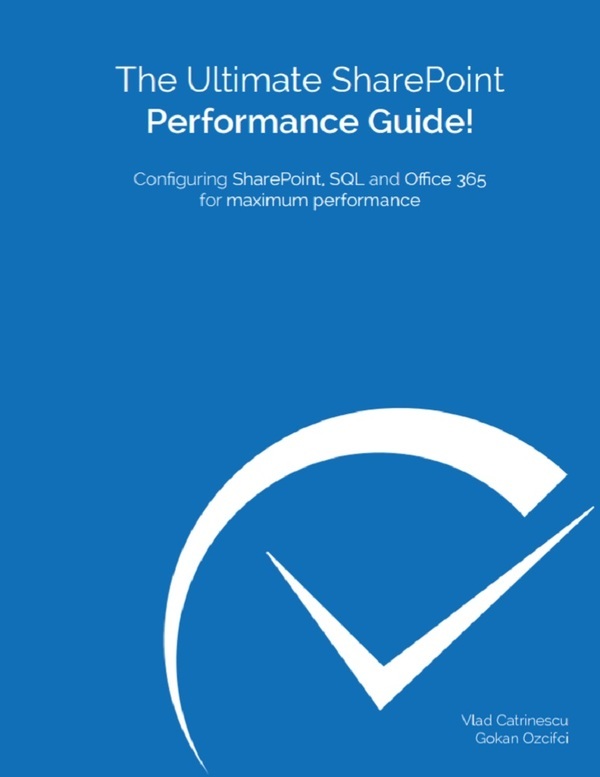 Microsoft, however explicitly says that this is not for production, but only for evaluating SharePoint 2013 or testing your deployments on a SharePoint 2013 highly available (HA) environment. 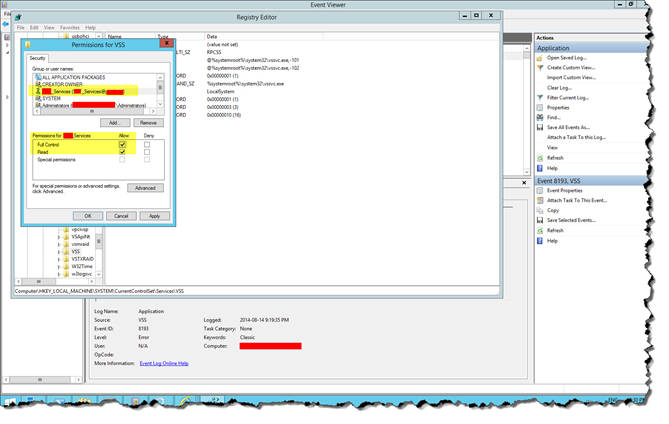 A SharePoint 2013 farm that represents one of the topologies above. You cannot customize the number of APP / WFE servers, the only two options are pictured above. The farm will run on SharePoint 2013 Service pack 1. No Service Applications or customizations. SQL Server is running SQL Server 2014. If you went for the high availability option, the databases will be in an AlwaysOn availability group. The first few questions will ask you to name your Resource Group as well as to create a User. Please remember this user, as you will need it to login to the servers later on! This screen will also ask you if you want to “Enable High Availability”. Although it’s just a simple checkbox, this is where you decide if you want the simple two-tier SharePoint or the Highly Available SharePoint three tier farm we saw above! For the purpose of this tutorial I went for the highly available option! 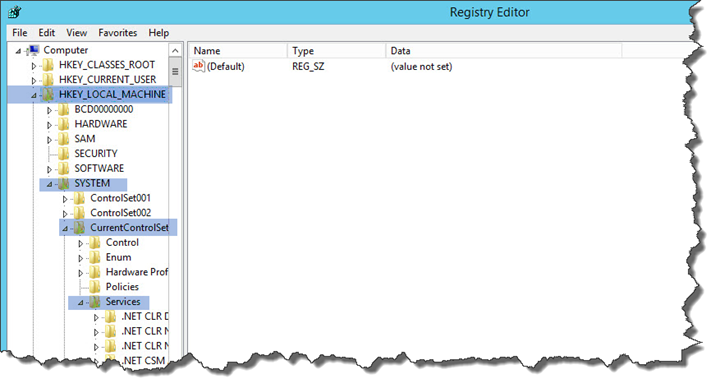 Click on the Domain Controllers tab to configure settings. In this tab, you can select your Host name prefix as well as your forest root domain name. You can also modify the size of the Virtual Machines you want to create! If you want your credit to last longer, you can put a smaller size, however performance will suffer as well! When you’re done with your settings, press OK! 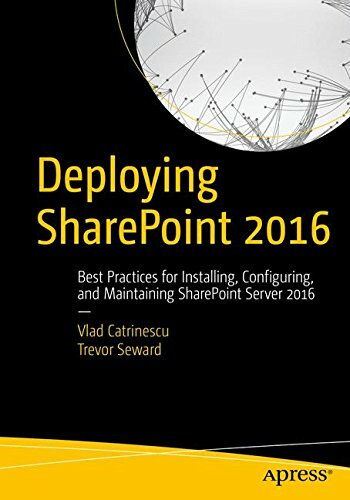 After you’re done with the SQL, time to setup SharePoint Servers. In the SharePoint Servers tab you can again select what pricing tier you want your four virtual machines to use, as well as select the username and password for your two service accounts. Microsoft will only create two service accounts for you, since, as mentioned before, it won’t create any service applications! You can either use a custom password or the same one as the account in step 3. I didn’t list it in the steps, but in the Optional Configuration you can change your subnet and a lot of Network stuff. Since it’s only a test farm, I don’t recommend changing anything unless you really need to. In the Subscription tab, you must choose the subscription that will pay for this farm! 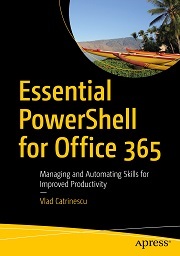 Most people only have one, so not a lot of choices, but for other people they have one from the MCT and one from their partner MSDN for example! I choose my biggest one so I could at least finish this article before it runs out! The last Step before we hit the Create button is to select where do we want our farm to be hosted! Since I live in Montreal, I choose Eastern US since it’s the closest one to me! After waiting for the farm to create, you can see a new “tile” in your Azure Portal by the name of your farm. When you click on it you see all the information about your resource group. For your SharePoint Farm, one important detail to check out is in the Deployment history. When you click on the tab, you will find out what the Central Admin URL is as well as your first Site Collection! If you want to Remote Desktop into a Virtual Machine, click on the SharePointFarm1 resource group, then select the server you want to remote Desktop into, and lastly click on Connect. I hope you enjoyed this step by step tutorial and it will help you test drive Cumulative Updates, lab scenarios or anything before you send them in production! I think that this a great new feature in Azure from the Azure team and I will probably use it in the past! However, I wish we had the option to include Office Web Apps, as well as having all or at least some Service Application (ex; Search) coming configured out of the box! With the New Year coming in just 2 and a half months, I know I am not the only one who wanted to finish some Microsoft Certifications in 2014! Luckily, Microsoft Learning decided to give 15% off on most Microsoft Exams before December 31st! Offer available from September 25, 2014 to December 31, 2014 or while supplies last. Individuals must register for and take a Microsoft Certified Professional exam between September 25, 2014 and December 31, 2014 at an authorized Pearson VUE testing center, or between October 1, 2014 and December 31, 2014 at authorized Prometric testing centers. Promotional code may only be used for exams taken by December 31, 2014. You must enter the promotional code 15OFF or STU15OFF when registering to take an exam to receive discount. Discount will be taken off the cost of the exam at payment. This promotion is limited to Microsoft Certified Professional exams Commercial (070) and Direct to Student (072, 073) exams only. Promotional code may be redeemed only in country from which they were received. Promotional code may not be applied to exams previously taken or prior registrations. Promotional code may not be combined with other discounts or vouchers. Promotional code has no cash value. Promotional code may not be used for any offering. To register to take an exam, visit https://www.microsoft.com/learning/exam. There are no refunds for individuals that cancel or reschedule their appointment to take an exam seventy-two hours or less from the scheduled time. There are no refunds for individuals that fail to show up for their scheduled exam appointment. Since I know it’s a popular question on my blog, no I got no news on a Second Shot offer yet, however as soon as I do, I will share it on my blog! If you want to stay up to date and be the first to see it, make sure you follow me on Twitter or like the Absolute SharePoint Blog page on Facebook! If you plan to take an exam before the end of the year, share it in the comments!